Avocados are packed with essential nutrients and vitamins. They also contain a significant amount of monounsaturated fat, a type of healthy fat that contributes to cardiovascular health. One California avocado contains 15 g of total fat and 10 g of monounsaturated fat. This type of fat is distinct from omega-3 fatty acids, another type of beneficial fat that is found in cold-water fish, flaxseed and nuts. Omega-3 fatty acids are essential, long-chain polyunsaturated fats that are important for maintaining your cardiovascular health. A diet high in omega-3 fatty acids reduces the levels of harmful LDL cholesterol, raises the levels of healthy HDL cholesterol, lowers blood pressure and reduces atherosclerosis. All of these benefits add up to reduced risks of heart disease, heart attack and stroke. 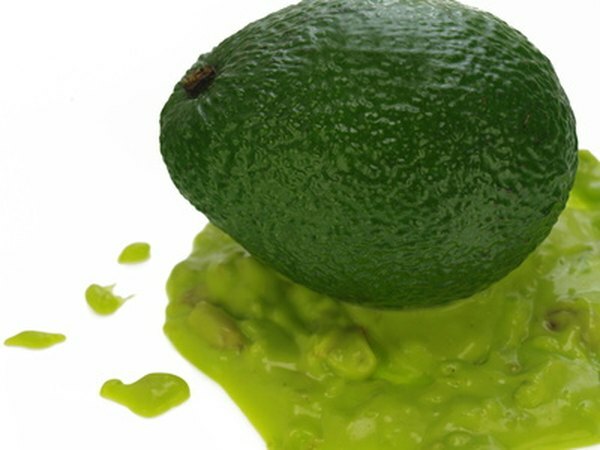 Avocados contain mostly monounsaturated fats. These are chemically distinct from the polyunsaturated fats in omega-3 fatty acids. However, both types are considered healthy fats that help reduce your LDL cholesterol levels and decrease your risk of cardiovascular disease. In contrast, the saturated fats found in animal products increase your risk of heart disease. In addition to monounsaturated fats, avocados provide several other nutritional benefits. They are high in soluble fiber, which helps lower cholesterol levels and maintain stable blood sugar levels. Avocados are high in vitamin E, an antioxidant that regulates inflammation. They also provide you with significant amounts of the essential minerals potassium and magnesium. Although avocados are rich in vitamins, minerals and healthy fats, they are high in calories. The recommended serving size is 2 tbsp., approximately one-fifth of an avocado. This provides 55 calories and 5 g of fat. Avocados are versatile, and you can substitute them for less healthy fats such as butter or cheese. Try adding slices of avocado to sandwiches, salads or as a side dish.